Natchez is a retailer of shooting supplies, including ammo, spare parts and survival gear, based out of Chattanooga, Tennessee, United States. The privately held company sells its products through a traditional mail order catalog and through their online store located at Natchezss.com. Natchez was founded in the late 70s as a small catalog that was distributed locally in Tennessee. Its brand comes from the Natchez Trace national parkway that runs from Natchez, Mississippi, to Nashville, Tennessee. The original catalog stocked all the supplies people needed to make their way through the historic forest trail. The company quickly expanded and found its niche as a shooting supplies specialist. The family run business caters to outdoorsmen, sportsmen and hunters, using their own expert experience to offer unrivalled customers support. Natchez is keen to offer good value for money and therefore often runs sales and special offers. You can redeem these deals by using our up to date list of Natchez coupons. 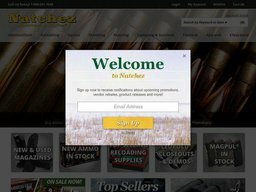 Natchez stocks thousands of individual products covering Ammunition, Reloading, Optics, Parts & Accessories, Hunting Gear, Camping & Survival Gear, Tactical equipment, and Apparel. You can browse products using the previous categories or via the search bar, which accepts keywords and catalog item numbers, if you want to be taken directly to the product page for fast checkout. Some of their best selling products include Remington 9mm Luger ammunition, the Caldwell DeadShot Fieldpod, Bold Trigger AR-15 magazine, Peltor Sport RangeGuard hearing protector, Hodgdon Pyrodex RS Rifle/Shotgun Powder, Swarovski Z6 Rifle Scope, Champion Shotgun Stock, On Time Solar Hinting Feeder, Kershaw Tremor Serrated Assisted Knife, Streamlight Microstream Black with White LED flashlight, and the Tru-Spec BDU Jacket, among many others. There is also a separate Clearance page, so you are sure to find a bargain. 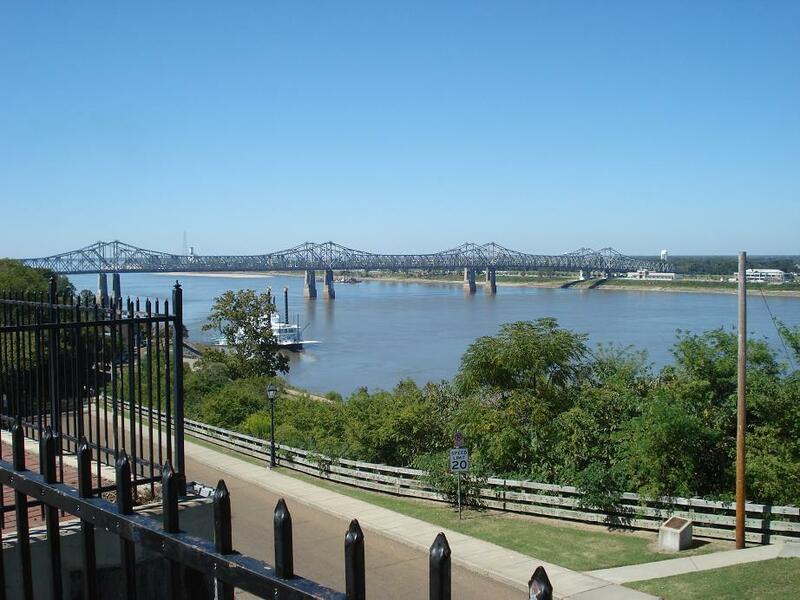 To make even more savings you can browse our list of Natchez coupon codes to redeem on the site. Finding what you want is very easy thanks to the sorting feature, that can list and refine the products by price range, type, brand, top sellers, and other parameters. A lot of products also have user ratings and reviews you help you make your decision. Popular brands available include: American Eagle, Blazer, Hornady, AccuShot, Burris, Barska, Weaver, Summit, Texsport, Lansky, Truglo, Woolrich, and Glock, among hundreds of others. Natchez support all common types of credit card, including American Express, Discover, Mastercard, and Visa. You can also pay with a bank transfer, however there will be an additional $20 fee for using this method. Prior to payment you can redeem any Natchez promo code by pasting the code in to the designated box. Natchez currently only caters to customers within the 48 contiguous US states. Standard delivery is handled by either FedEx Ground Residential, FedEx Home Delivery or Fedex SmartPost. The cost of shipping is determined by the value and/or the size of the order, so you should add items to your basket, enter a delivery address, and then choose from the available shipping options to get an accurate cost calculation. Certain oversized items or orders may have to be shipped by freight. From time to time they run free shipping offers which will be listed alongside our other Natchez Shooters Supply coupons and offers. Natchez operate a 15 day returns policy allowing you to return most items within 15 days for either a refund or exchange. Unwanted items (as opposed to defective items) must be in their original unused and brand new condition to be eligible. All orders come shipped with the required return form which must be filled out and included in the return package. Due to the nature of guns lots of restrictions apply from state to state.